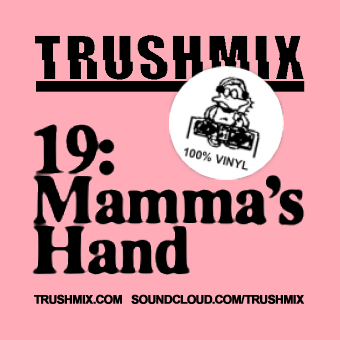 This Trush-issue comes from Mamma's Hand - a mysterious Italian, armed with a collection of amazing disco records. Not much is known and little is to be said - except that if you're lucky, and have your ears in the right place you can catch him at random occasions in bars (or maybe that's only one bar) in the north of Italy … Trushmix 19 is beautifully crafted in a way that only an Italian can do it. Enjoy! Thanks for the nice words guys! Piotr, I have to admit we're a bit lazy when it comes to playlists, but if there's any particular tracks you're looking for, just drop us a line and we'll do our best to ID the tracks. Hi, sorry, haven't been been able to ID them... try writing some timed comments on soundcloud – hopefully someone out there can help!